Home » Lola couldn’t believe how easy treatment was. Or how happy it made her. Share the post "Lola couldn’t believe how easy treatment was. Or how happy it made her." 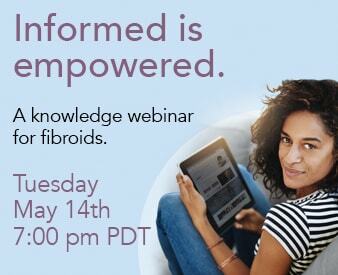 Lola took control of her fibroids, found the Fibroid Treatment Collective and discovered she was a candidate for fibroid embolization, a non-surgical cure for fibroids that is covered by most insurances. "It (fibroids) affected my mood, my energy, I just couldn't seem to have enough energy to do some of the things that I wanted to do with my children and my spouse"